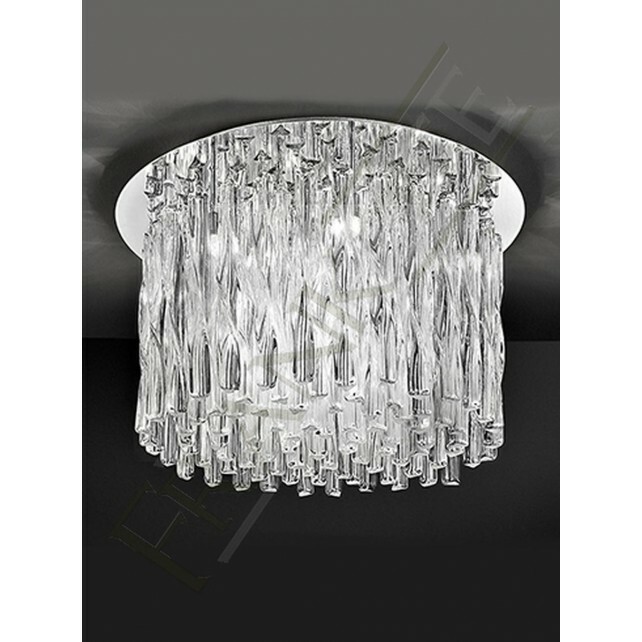 The contemporary range Glacial from Franklite features a family of fittings which are inspired designs to resemble 'glacial ice'. 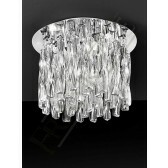 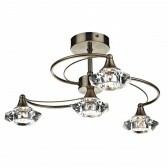 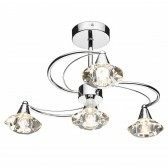 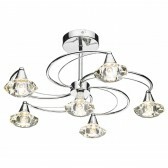 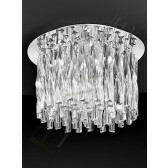 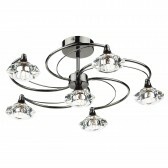 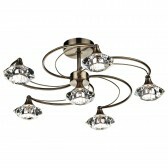 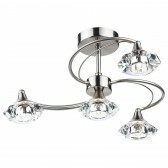 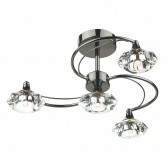 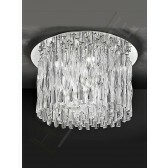 The 12 light flush fitted ceiling light features twisted clear glass rods, suspended from a chrome finish ceiling plate. 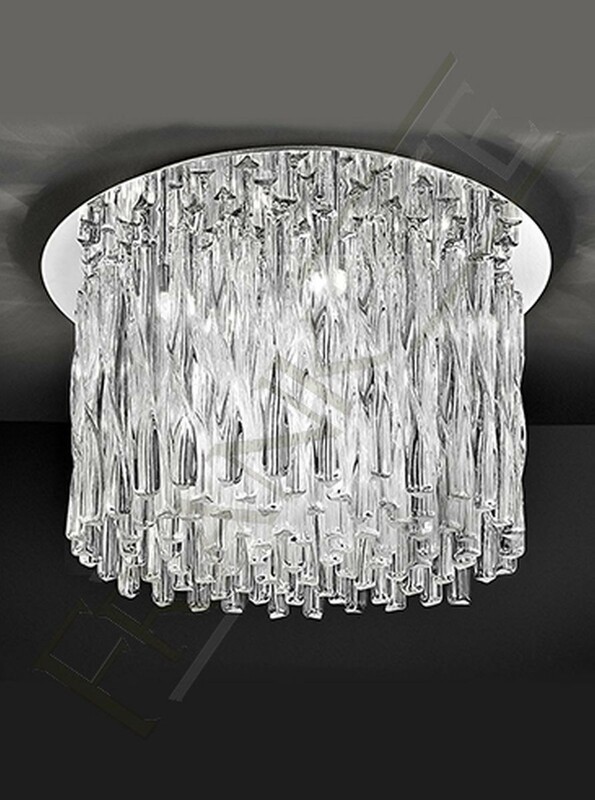 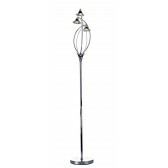 It is complete with 40W G9 halogen lamps which are suitable for dimming. 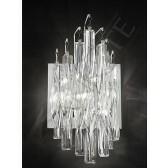 This would would look best in a living or dining room area. 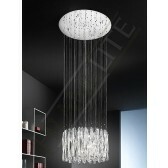 The striking design would certainly attract the eye.